The two-year reporting project will analyze how science and religion intertwine to shine new light on the big questions of purpose and reality. WASHINGTON – Religion News Foundation has received a two-year $210,000 grant from the West Conshohocken, Pa.-based John Templeton Foundation to help inform the public about how science and religion intersect. The “Double Helix” reporting project will result in at least 40 original news and feature story packages produced by the Religion News Foundation’s subsidiary, Religion News Service, published at religionnews.com and distributed to some 100 subscribing and partner news outlets for republication. Stories will investigate the religious, spiritual, ethical and philosophical implications of today’s most talked about developments in science, such as artificial intelligence, robotics, genetic engineering, neuroscience, evolutionary biology, and deep-space exploration. “We are very excited to be collaborating with the team at the John Templeton Foundation in addressing compelling, even urgent, questions involving the intersection of science and religion,” said Thomas Gallagher, CEO, Religion News Foundation, and CEO and publisher of RNS. The Religion News Foundation will also produce four ReligionLink source guides to enhance journalistic coverage of complex issues surrounding science and religion on such topics as religion’s role in the search for extraterrestrial intelligent life, the religious and moral implications of artificial intelligence, neuroscience and religion, and animal faith. Each new resource will be directly distributed to our network of journalists and editors in the U.S. and abroad. The successful completion of this series will enhance RNS’s reporting on science and religion, raising the bar for other media outlets to improve their coverage while educating them how best to do so with the aid of ReligionLink source guides. This necessary improvement of mainstream media coverage will help our diverse readers and the general public better understand how science, religion, spirituality and belief impact notions of purpose and reality. The partnership aligns with RNS’ mission to inform, illuminate and inspire public discourse on matters of faith and belief. 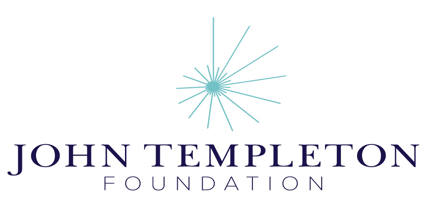 The John Templeton Foundation (www.templeton.org) serves as a philanthropic catalyst for discoveries relating to the deepest and most perplexing questions facing humankind. The Foundation supports research on subjects ranging from complexity, evolution, and emergence to creativity, forgiveness, and free will. It encourages civil, informed dialogue among scientists, philosophers, and theologians, as well as between such experts and the public at large. In all cases, the Foundation’s goal is the same: to spur curiosity and accelerate discovery. Religion News Foundation, the parent of Religion News Service, is an independent, nonprofit educational and charitable foundation based at the University of Missouri School of Journalism, which advances religious literacy through its websites, resources, networks, training seminars, and events and other programs tailor-made for media professionals, corporate clients and the general public. RNF facilitates and encourages discourse about religion in a neutral and informative way without endorsing or promoting any particular belief system or point of view. RNS is an independent, nonprofit and award-winning source of global news on religion, spirituality, culture and ethics, reported by a staff of professional journalists. Founded in 1934, RNS seeks to inform readers with objective reporting and insightful commentary, and is relied upon by some 100 commercial and faith-based news organizations in a number of countries. RNS is affiliated with the Missouri School of Journalism at the University of Missouri.